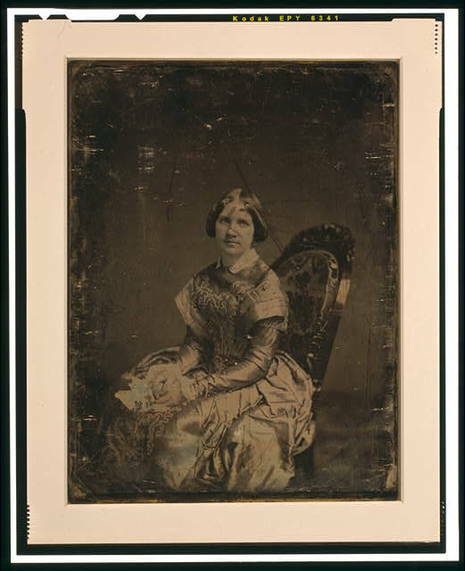 Swedish soprano Jenny Lind, whose purity of voice and natural singing style earned her the nickname "the Swedish nightingale," made her American debut at the Castle Garden Theatre in New York City on September 11, 1850. The appearance inaugurated a ninety-three-stop American tour which was arranged by showman and entertainment entrepreneur Phineas T. Barnum. The tour came on the heels of a fantastically successful string of appearances in England that gave rise to the term, "Jenny Lind fever." Jenny Lind was born Johanna Maria Lind on October 6, 1820 in Stockholm, Sweden. She made her debut in the opera Der Freischütz in Stockholm in 1838. Her fame grew in the mid-1840s as she made a series of successful appearances in Germany and Austria. In 1847, she made her first appearance on a London stage when she sang the part of Amalia which was written for her by Guiseppe Verdi, in I Masnadieri. In 1849, Lind determined to stop performing opera on account of her religious convictions. Thenceforth, she made her career as a recitalist and an oratorio singer. Johanna Maria Lind (October 6, 1820 – November 2, 1887), better known as Jenny Lind, was a Swedish opera singer, often known as the "Swedish Nightingale". One of the most highly regarded singers of the 19th century, she is known for her performances in soprano roles in Sweden and the rest of Europe, and for an extraordinarily popular concert tour of America beginning in 1850. She was a member of the Royal Swedish Academy of Music from 1840.